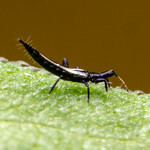 2016 BugShot Insect Photography Workshop: May 12-15 in Austin, Texas! I am extremely pleased to announce the 2016 BugShot Insect Photo Workshop! The event will be held for the first time in Austin, Texas, and will be instructed by Piotr Naskrecki, John Abbott, and myself. 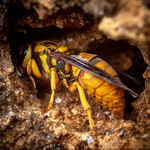 Our 3 1/2 day event will cover basic techniques in macrophotography in the field and in the studio, methods for working with live insects, and advanced techniques in focus-stacking and high-speed flash. A focus-stacked image of a red imported fire ant, one of many subjects and techniques we will cover in Austin. As usual, our location is a site of considerable natural beauty, with rustic lodging and classrooms on site, with nearby hotels for those who prefer more upscale accomodation. We will be at McKinney Roughs Nature Park, a 1,900 acre tract of woodlands, meadows, and canyons. These workshops are a real highlight of my year, not just for the nature and the photo nerdery, but for the community of wonderful people that has coalesced around the BugShot events. If you haven’t been yet, you should try to this year. We’d love to have you! Last year’s California workshop sold out within a week, so if you’re thinking of attending, you may need to sign up quickly. ***Update (December 19, 2015): BugShot 2016 is sold out. Stay tuned for our next workshop! I’m sure people around the world will be excited to be part of this, as this brings whole new dimension. Hope to see large audience there. Looks like the BugShot Insect Photo Workshop will be amazing. The topic is fascinating. Modern photo shooting equipment gives a lot of great possibilities for wonderful insect pictures. I would like to join. That’s easily the most handsome ant I’ve ever seen! A blog has been pretty explanatory website. Thank you. I can’t wait to be at the next workshop! This ant looks like it’s come straight out of one of my nightmares.